Quilting Adventures: 2,112 pieces to the puzzle! This is the Corn and Bean block, which is the main block in a quilt I'm making for my favorite brother, as he likes to be referred! I thought I would show you how the block is constructed. The quilt has 2,112 pieces, not counting the borders. You know, you really have to love someone to give such a time consuming quilt away. This will be my second queen size quilt. How did I get into having to make another one you might ask? I made a quilt using the block for my in-laws. I won't even tell you how long it took me to piece it, never mind machine quilting it! Fortunately for me, this quilt could not have been given to anyone more appreciative than my in-laws. I used the line of fabric Seasons by Kansas Trouble for Moda. I love Moda fabrics! The background is a Batik. I had one block made, as I wanted to see how it would look. My brother walked into my sewing room and said "I love it, could you make me one?" Well, at the time I had not yet done the math. I was working on it a little bit at a time. Taking my time and enjoying the process. It never occurred to me how time consuming this quilt would become. So, I said sure! I mean, I do love my brother dearly. This took place in the summer of 2005. My in-laws received their quilt Autumn 2006. Last night I decided to work a bit on it. The only thing different about this quilt is the background. This is what it looks like so far. I have never cut so much fabric for a quilt. I have decided that I'll be sending the quilt out to be machine quilted. I'm thinking of a pantograph design. I'm certainly open to suggestions. I've never sent a quilt to a professional quilter. I'm thinking that I should perhaps contact a machine quilter soon to book a time slot. I need to do some research on this. There's a first time for everything! 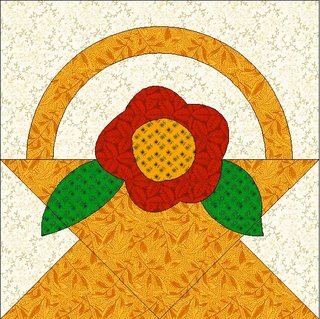 The block is from Quilt's from The Quilt Maker's Gift. I just love that book. It's a good reference book and has lots of quilts made with a variety of fabric styles. I will advise you, read all of the directions before starting. Their cutting instructions are not as efficient as they could be. For half square triangles they have you cut your squares in half and sew on the bias. I prefer the uncut method using the The Angler 2 . For my in-law's quilt I used Triangle on a Roll. Thangles would work as well, but like Triangle on a roll you have to take the time to remove the paper. I've noticed that my name is quickly coming up for UFO Stashbuster queen. Best get busy completing a project! That's a great book - I've used it several times for reference and I made the quilt on the cover (different colors). Oh I've always loved that block! I can see why he wanted one! I love those traditional patterns. What a great sister you are to make such an effort for your dear brother, although it sounds like he will be very appreciative as well! That's an incredible amount of pieces, hats off to you for counting them...lol.....Look forward to seeing the finished product. 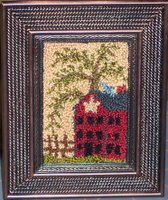 I remember a photo of a quilt I saw once where they used that block as the background and then appliqued a field of corn and beans over it--really stunning! Okay, here's my suggestion about the quilting thing. SEND THE DARN THING OUT FOR PIECING! Seems like the quilting would be the easy part! LOL! Love the block though! Would you make me a quilt when you finish your brother's?! That corn and beans block is a huge undertaking! 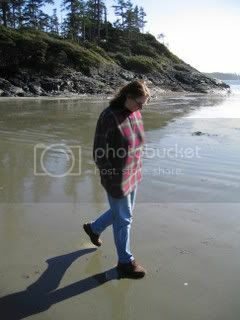 What a fantastic sister you are to devote yourself to it. I have never tackled that block, but love the look of it. The Angler or Thangles would be my choice for sure. I love that block and have never seen it before. Your quilt will be beautiful. The one I just finished is queen sized and yes it felt like it would never end! Very cool block, the quilt will be stunning. Depending on the fabrics you could do a leafy panto or a swirly one, both kind of manly and not overpowering your quilt. I think having is sent out to be quilted is a great idea. It is so nice to get is finished and machine quilting a queen size quilt is such a lot of work. Your brother will be thrilled to have it. The block is so very pretty. I am a counter too. Pieces per block, blocks per quilt, pieces per quilt... and so it goes! I had to laugh over Kim's comment" "send it out for piecing", too funny! I have that book but haven't pieced anything from it, I need to give it a second look! Thanks!! I'm not sure what method this quilt designer tells you to use, but there is a quick way to make those BD/BE blocks. Beth Ferrier showed us in her block of the month. Then I saw a book that had lots of quilts using that design - I think it was called the Basic Block. If you just looked at that block as parts of the Basic Block, you could make quick work of this quilt. Let me know if you need more info about this and I will dig up the info. What a nice sister you are! 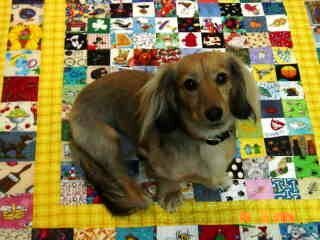 It is such a nice compliment that he loved your other quilt. That's how they sucker you in! My boys do that to me all the time. I am just so thrilled that they like my quilts that I pack up anything they want. You are a good sister! It will certainly be a labor of love. I've always really liked that block but have never used it in a quilt. I think a fairly simple pantograph will look very nice on this quilt as there is so much "action" going on in the piecing. Something like Surfs Up. I used that one on the Broken Dishes quilt I made last summer - I don't remember whether you were reading my blog then or not - and it looked great. That another quilt that is made completely of half square triangle squares.